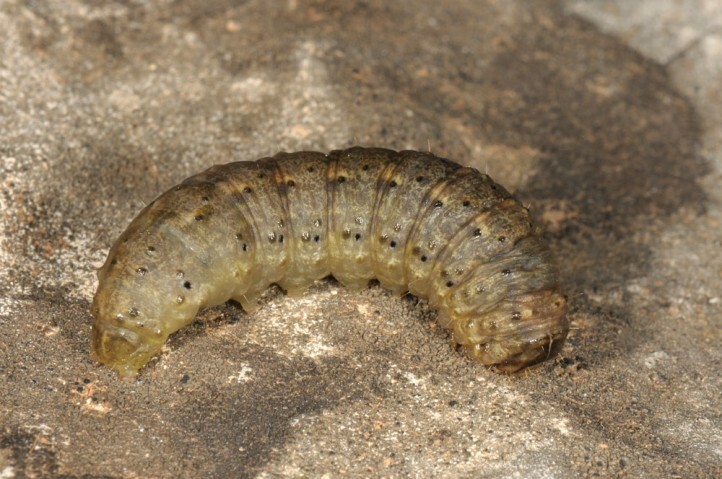 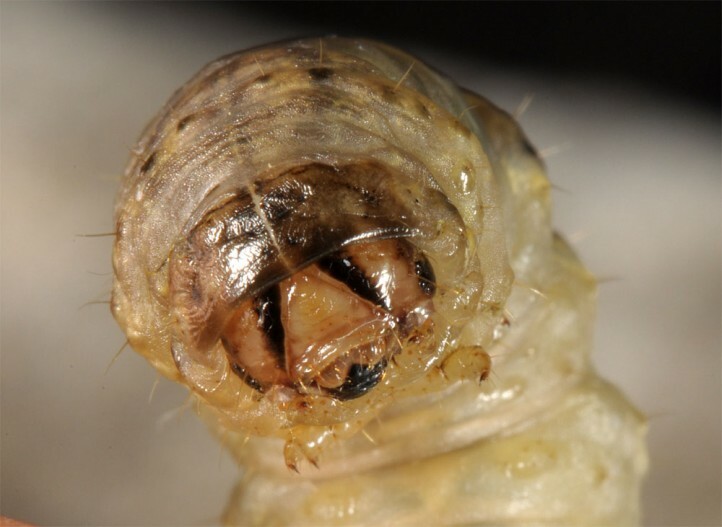 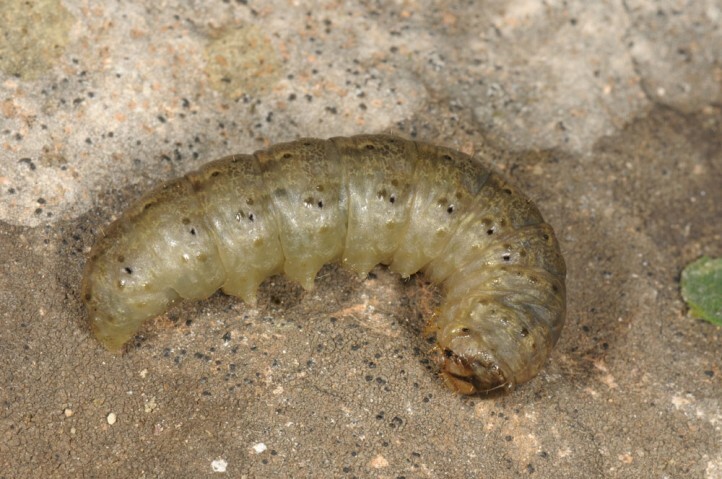 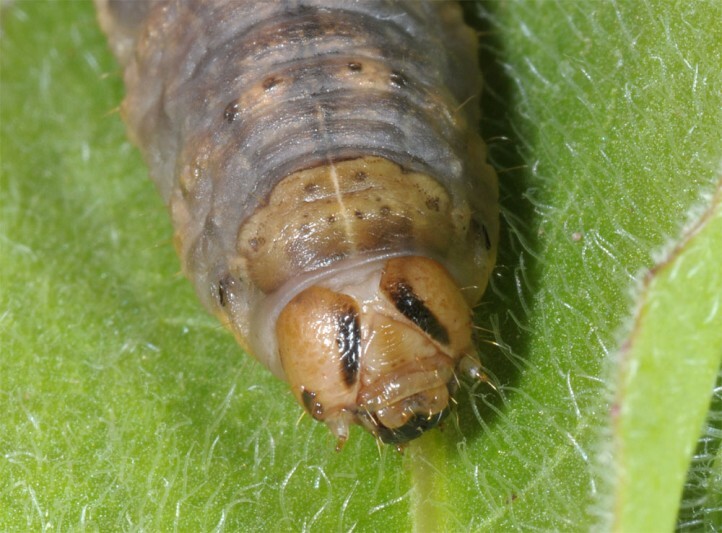 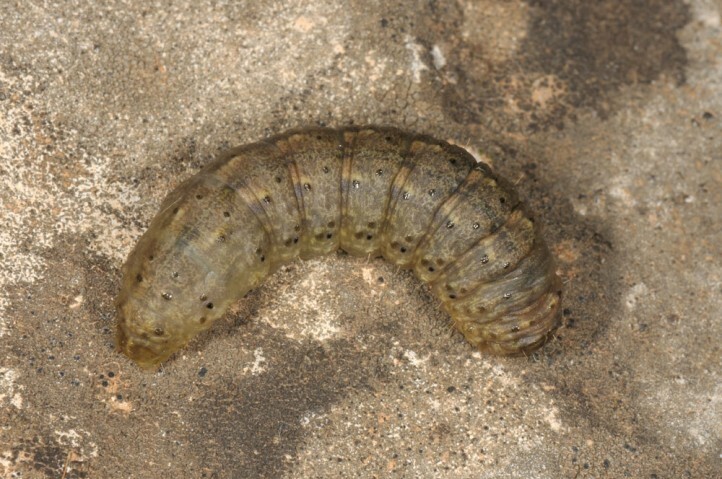 The larvae are polyphagous on low-growing parts of plants. 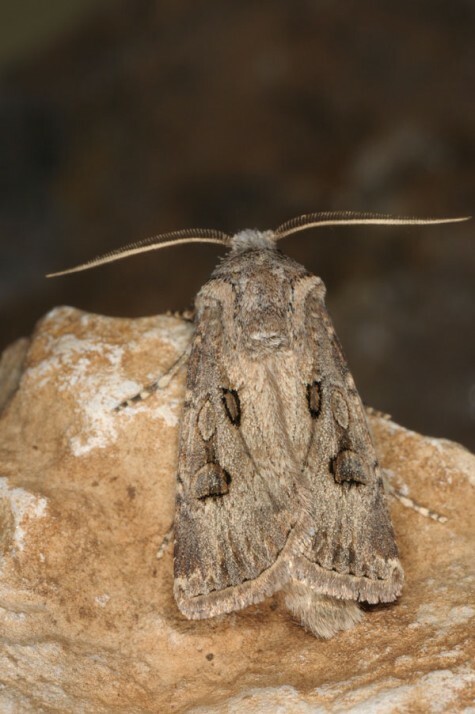 Agrotis bigramma inhabits open or semi-open landscapes with a good portion of open soil, e.g. 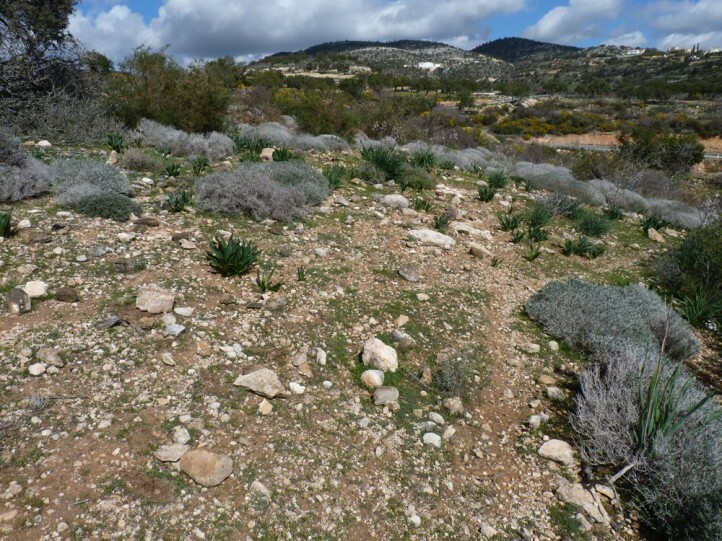 sandy grasslands, sandy agricultural land, vine yards, rocky garigues, steppe grasslands. 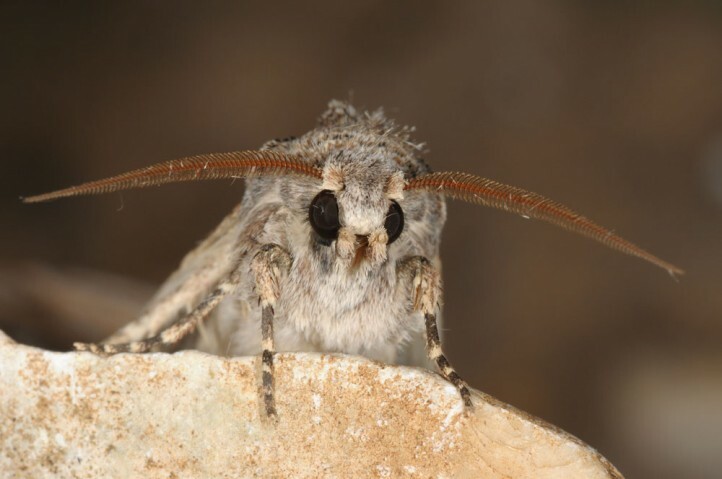 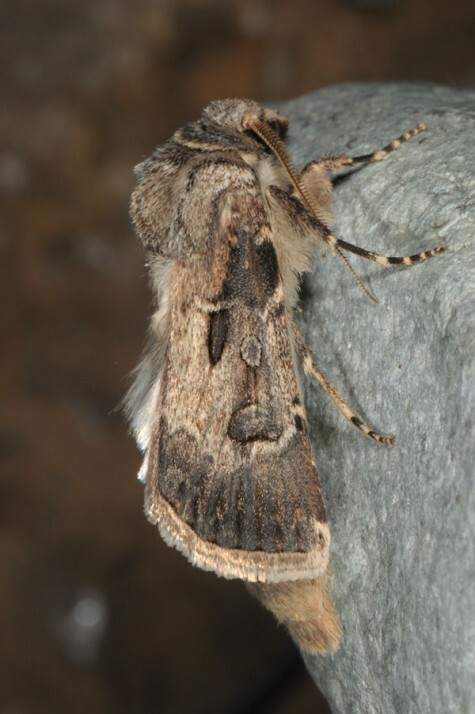 The moths occur between July and September, in the South often only from September to October/November. 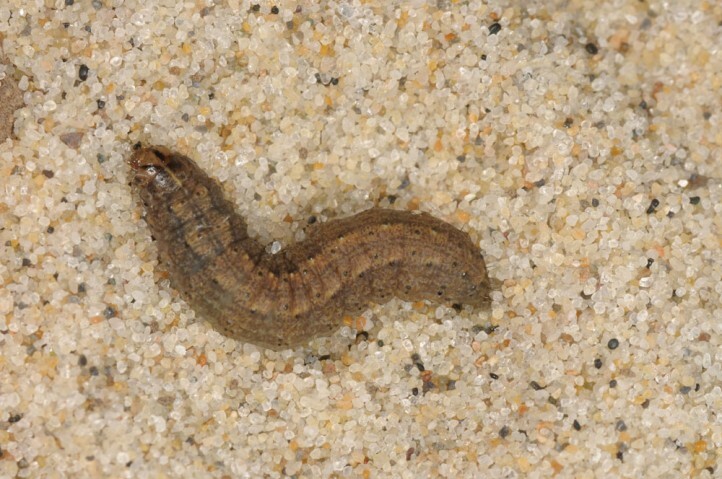 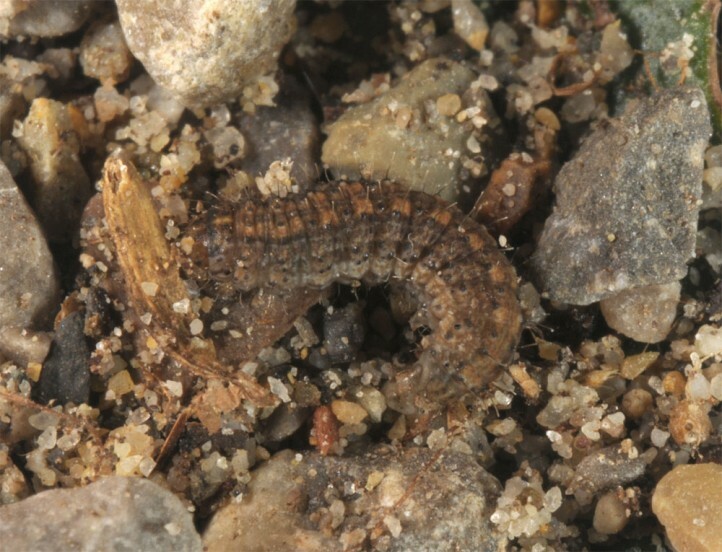 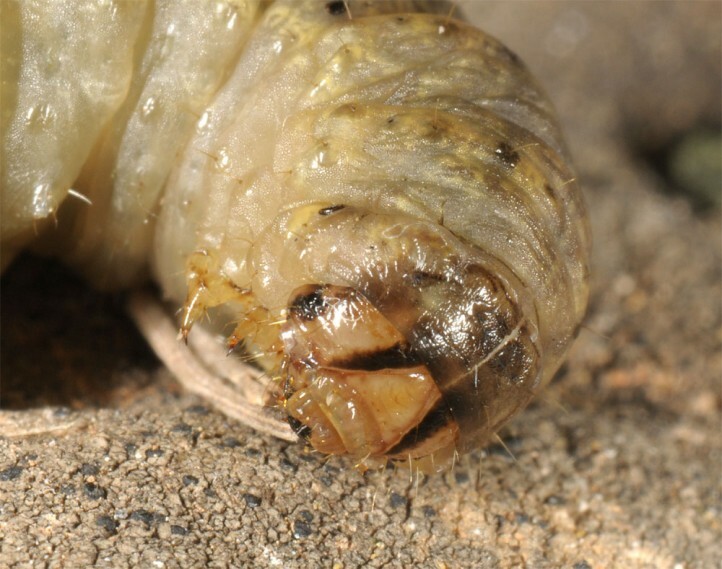 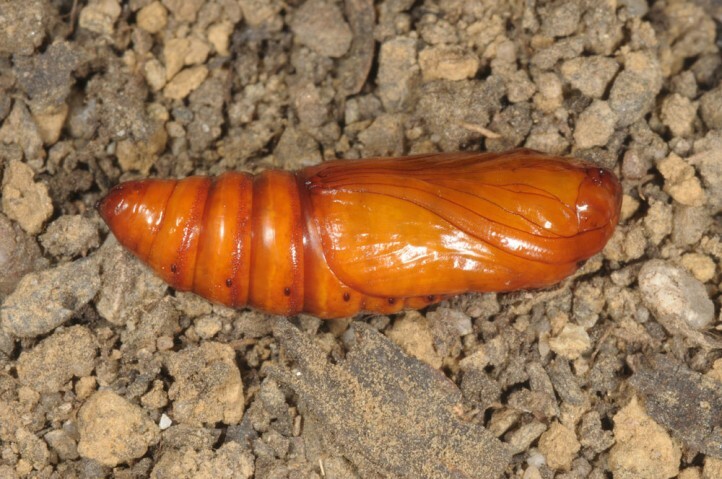 The larva hibernates and is mature in March or April (sometimes May), in the South already in February/March. 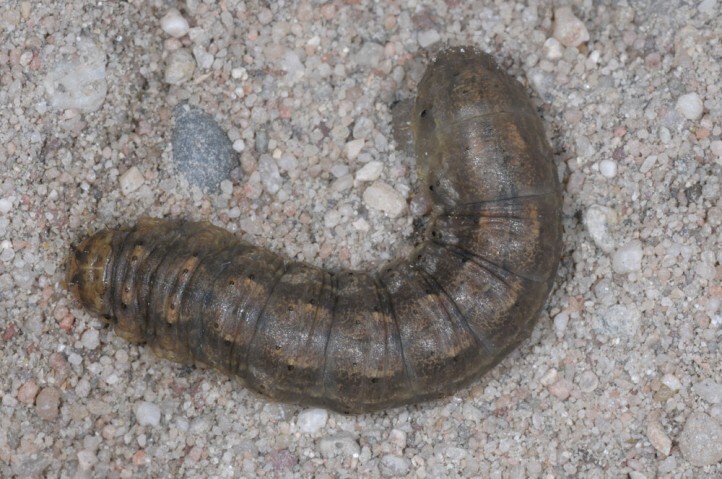 I found it in Cyprus in late February and in the Upper Rhine Valley on 10. 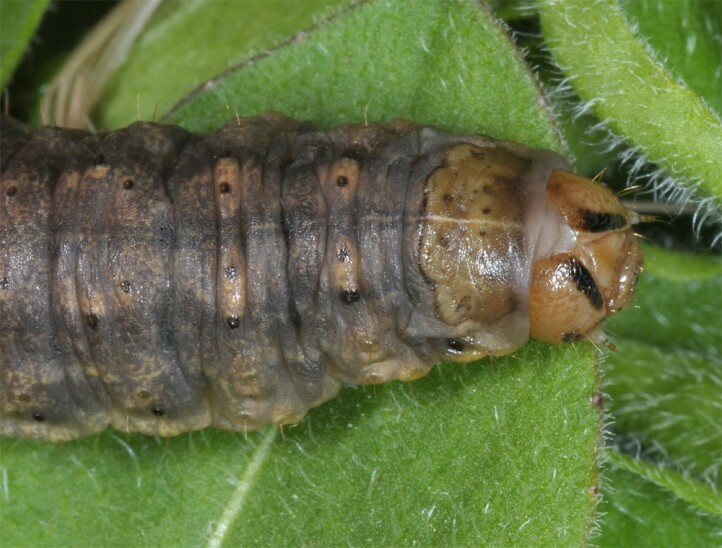 March 2015 (here still in penultimate instar). 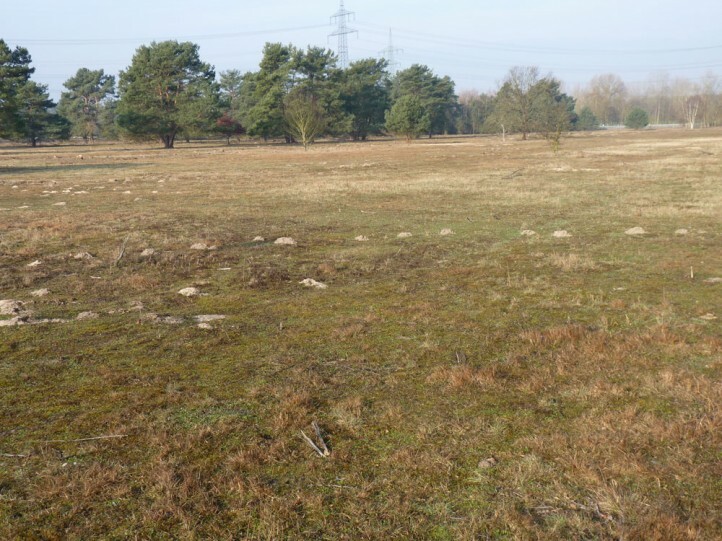 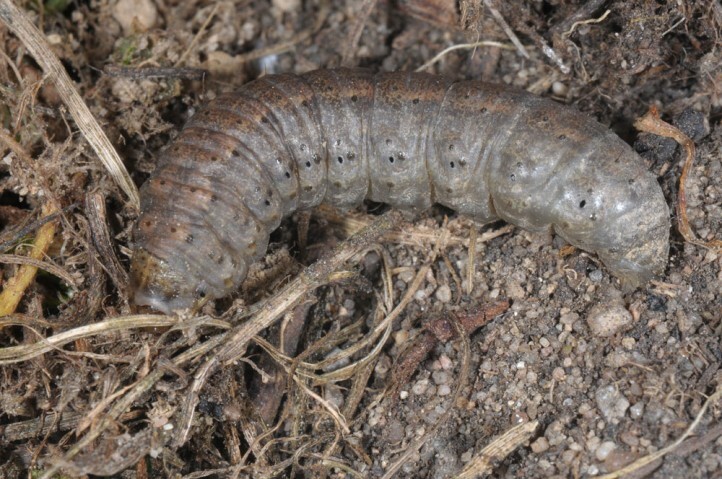 While the larvae rested under stones on grass roots etc. 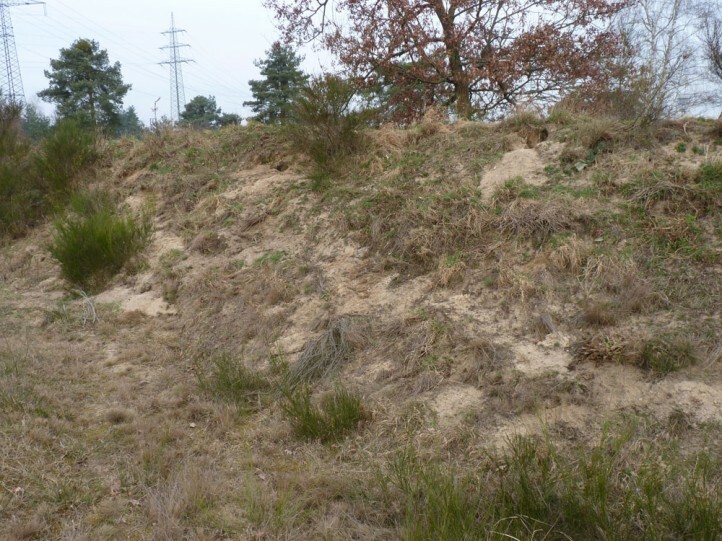 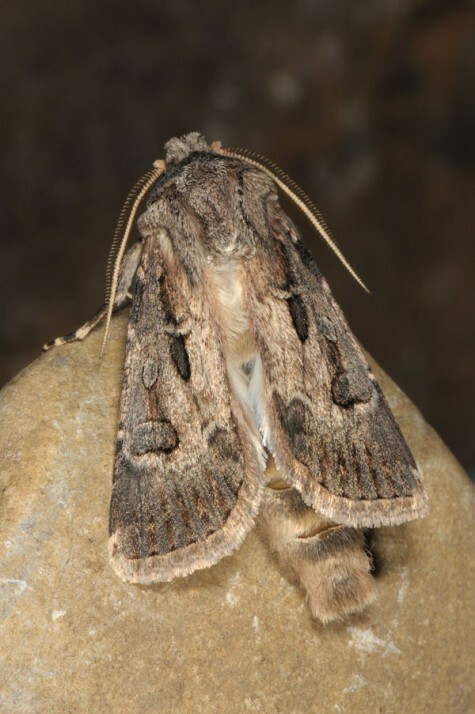 in Cyprus, they had buried deep into the sand in the Upper Rhine Valley (much deeper than the already mature Agrotis segetum at the same place). 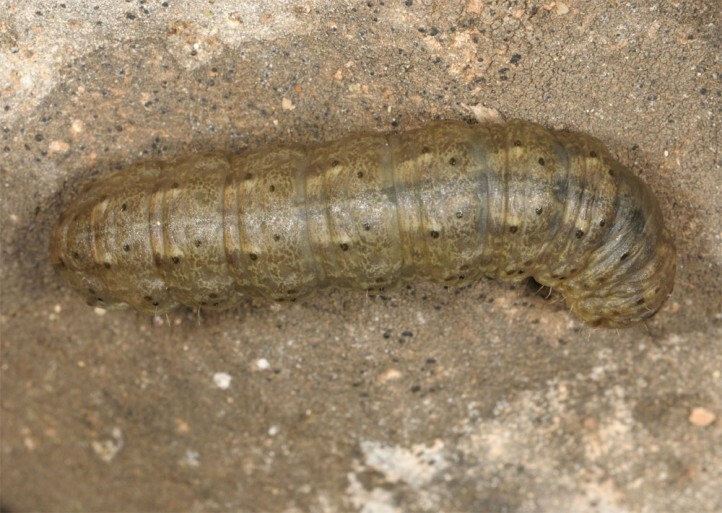 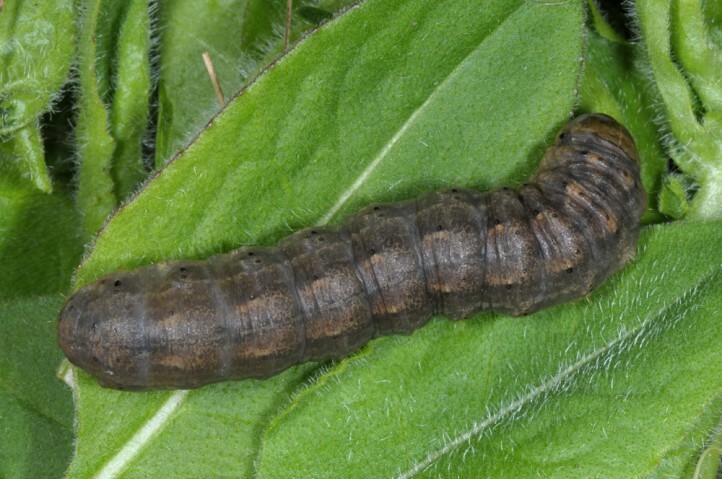 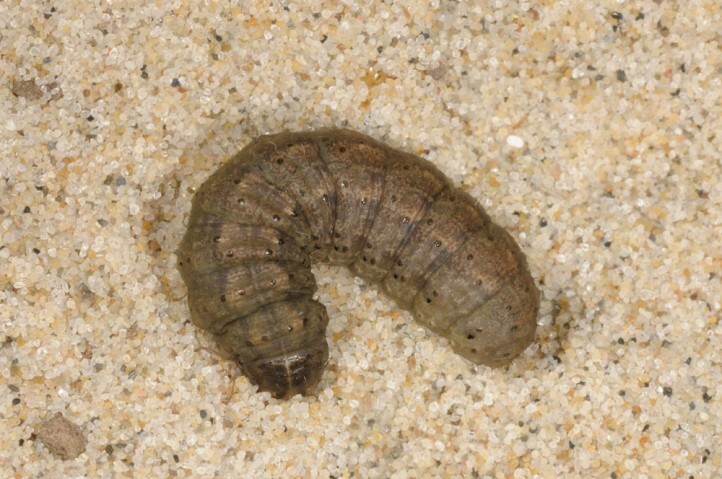 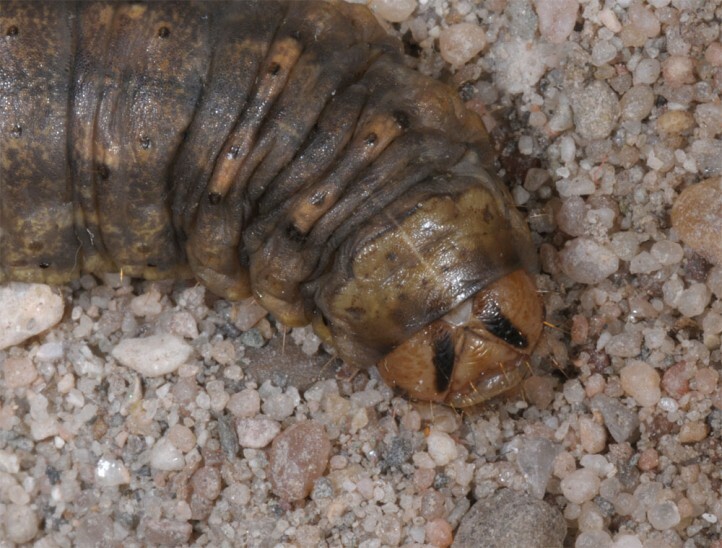 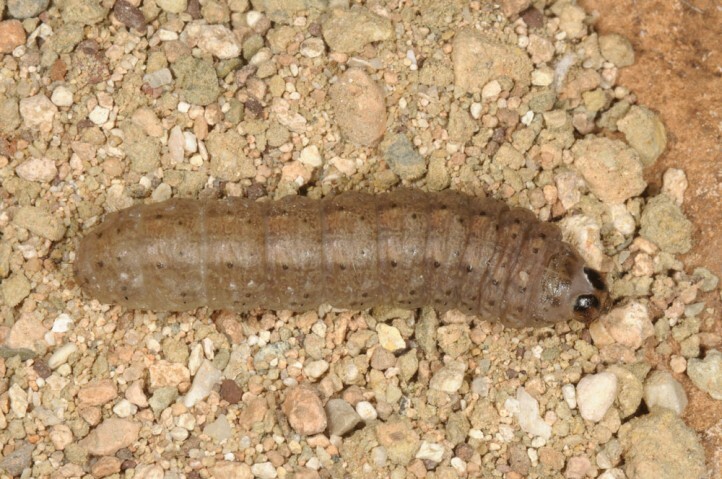 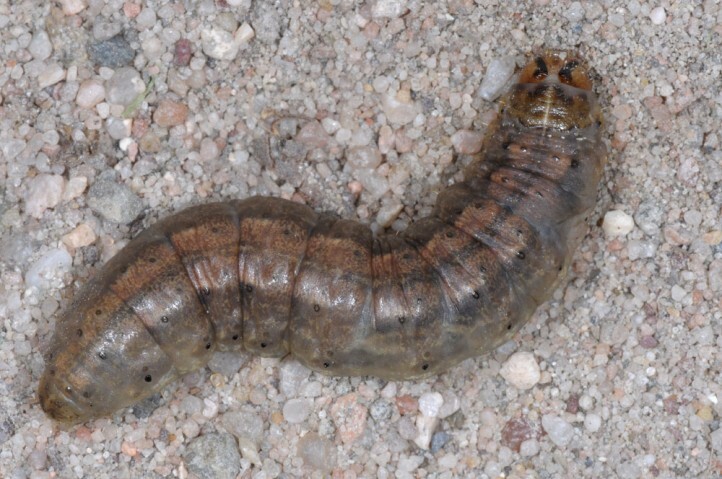 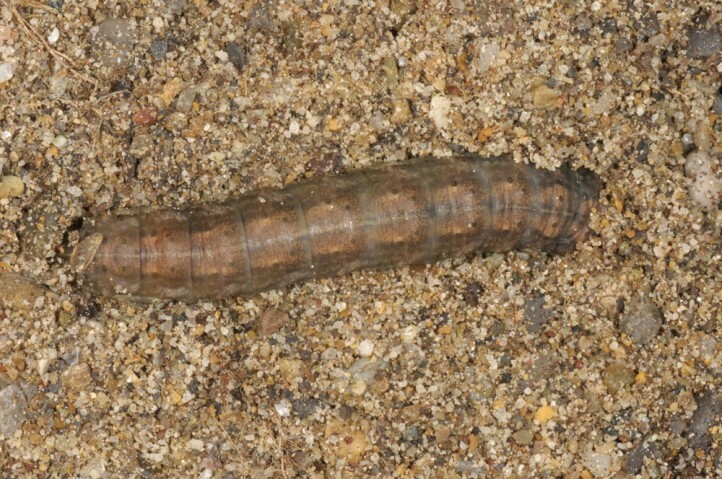 The larva aestivates prior to pupation as it is the case with many later flying Agrotis. 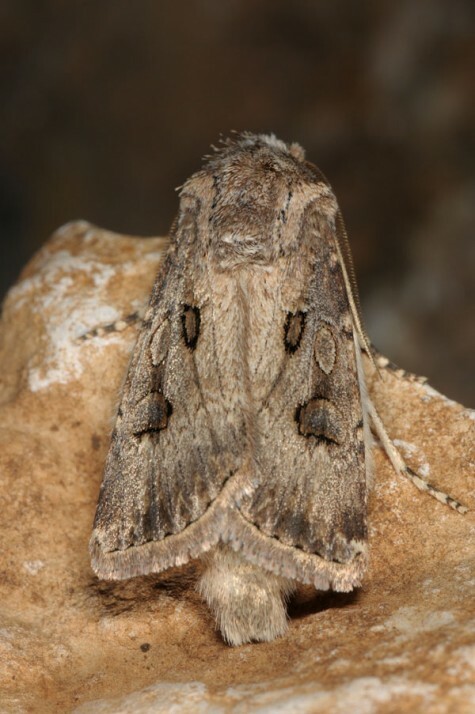 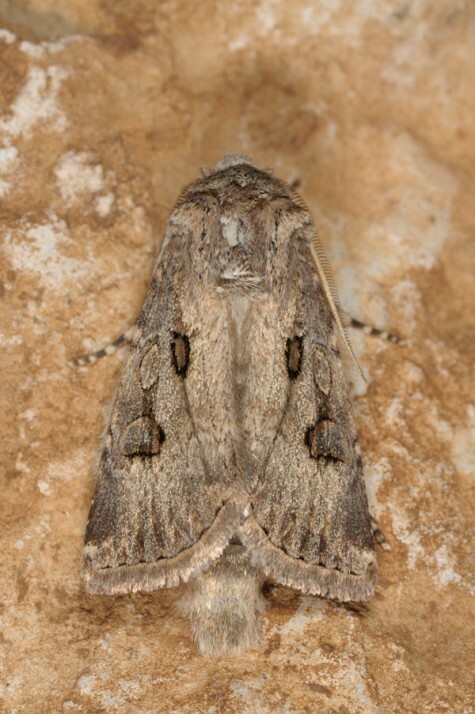 Agrotis bigramma occurs from N-Africa across Southern and locally also Central Europe to parts of W-Asia (Eastward app. 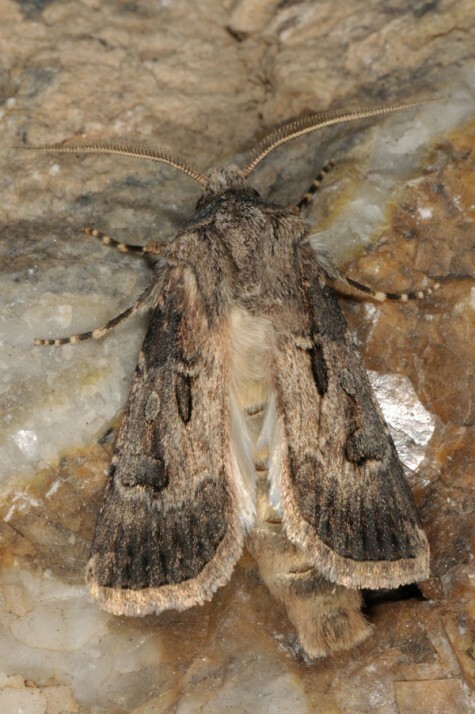 to Afghanistan).